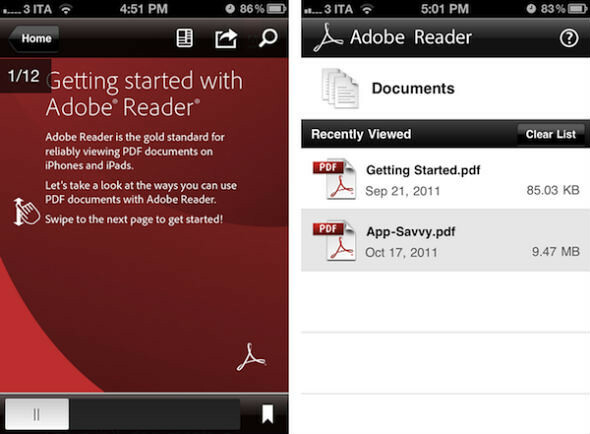 Adobe has just releaseed the the Adobe Reader to the Appstore, allowing iDevices to view pdf files, like what it does on the computer. Adobe Reader is the free global standard for reliably viewing and sharing PDF documents across platfoms and devices. Easily and efficiently access the widest range of PDF file types—including PDF Portfolios, password-protected PDF documents and Adobe LiveCycle rights-managed PDF files. 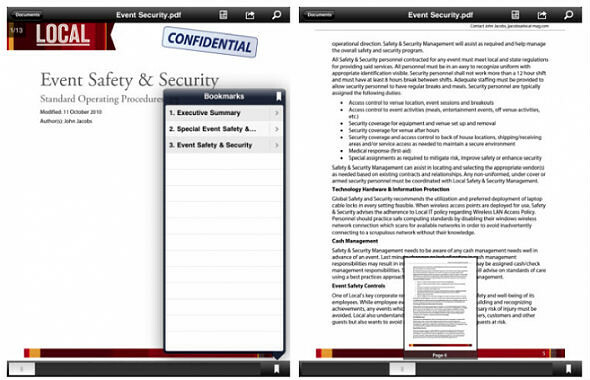 Now available for iPad, iPhone and iPod touch, Adobe Reader offers fast, high-quality interaction with PDF. The iPad version looks better and more comprehensive than the one on iPhone. So if you are not a fan of iBooks, this might just be your best alternative to view PDF files.